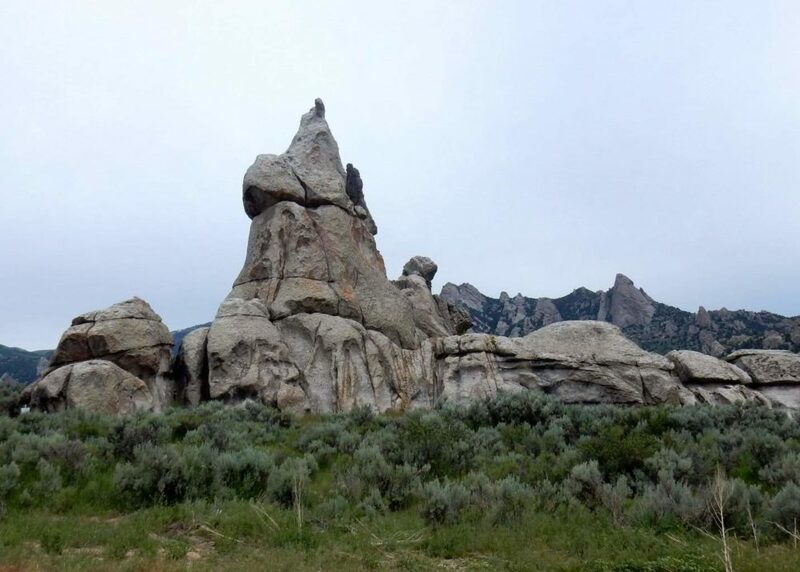 Molded and shaped by the wind, water, and frost weathering, the granite was fashioned into curious formations such as pinnacles, panholes, honeycombs, windows, and arches. 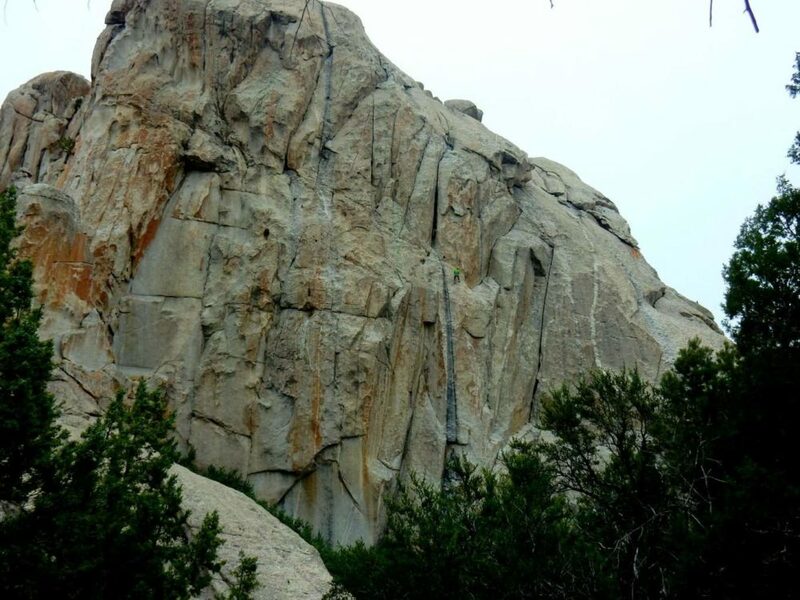 The variety of flat slabs, irregular cracks, and extremely featured faces upon quality granite also lures rock climbers of all levels from all over the world to this area. City of Rocks, in all its granite majesty! After making a quick stop at the visitor’s center in Almo, we took the main access road toward City of Rocks. We found a few interesting formations along City of Rock Road, but the most interesting one was Camp Rock. We took a short trail to the backside of the rock and found a fenced off alcove. 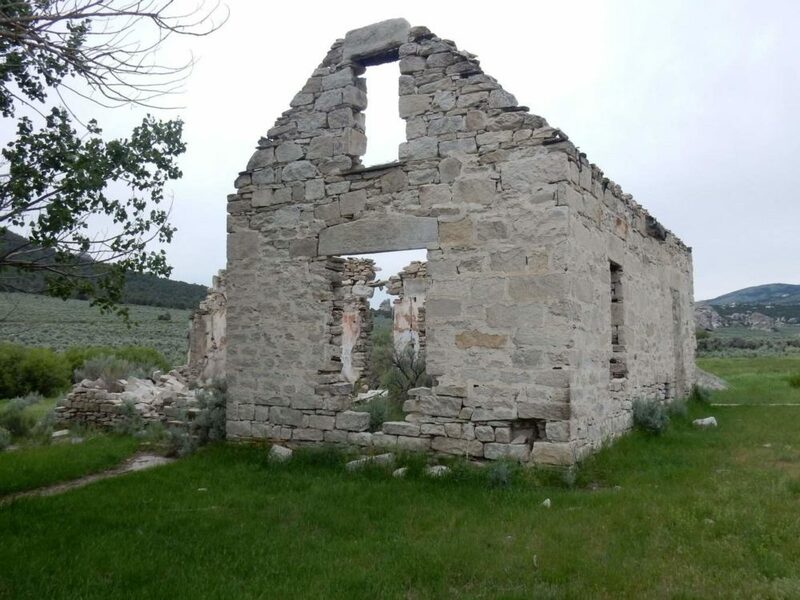 Along the walls, was a registry of pioneers and emigrants who took camp here. There was even a faint outline of a man’s face and the words “wife wanted” written nearby. 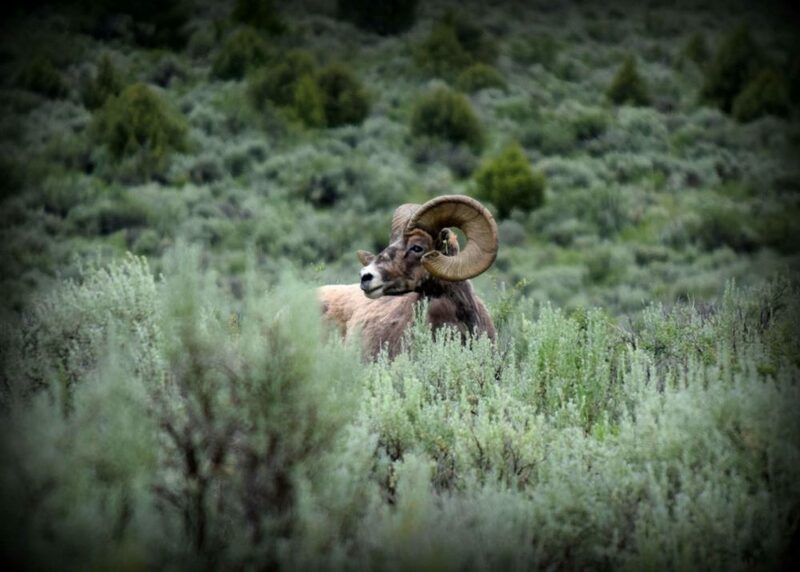 As we were leaving to go back to the Truck we nearly got blindsided by a big horn ram! It bounded off into the sage brush and we were able to get a few pictures of him before leaving for the rest of our tour. We decided to do an easy loop among the City of Rocks itself. We started at the Bath Rock Parking Area, and then northward alongside a creek. 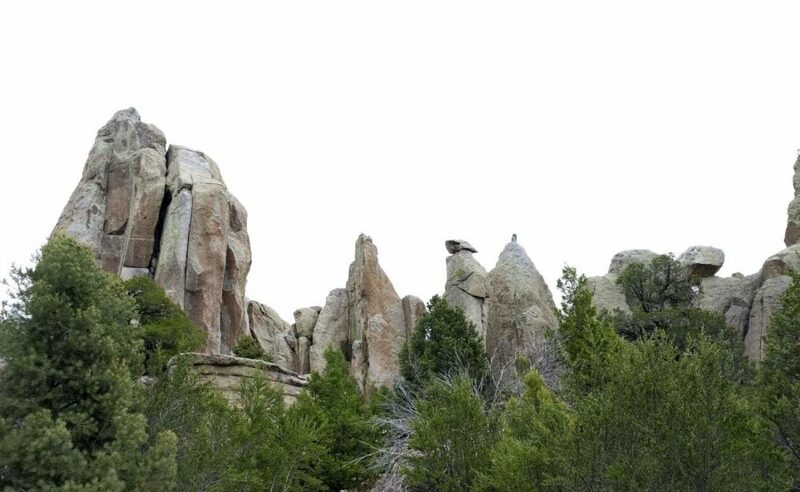 We were treated to sculpted granite pinnacles and a diversity of plants and animals. We kept an eye out for hidden windows, arches, and honeycomb formations. We also encountered a number of climbers scrambling upon the face of Creekside Towers. When we reached the oh so uninspiringly named Parkinglot Rock, we turned south. Along South Fork, Circle Creek Trail is a strange mix of riparian zone, pinyon-juniper woodlands, and sagebrush steppes. Depending on where I looked I could find hedgehog cactus, brittlebrush, and pinyon pines in one spot, then a few feet away, a mound of larkspur, columbines, and lupines. We found a small grove of aspens near a bubbling stream and quietly enjoyed the wind rustling through the leaves. 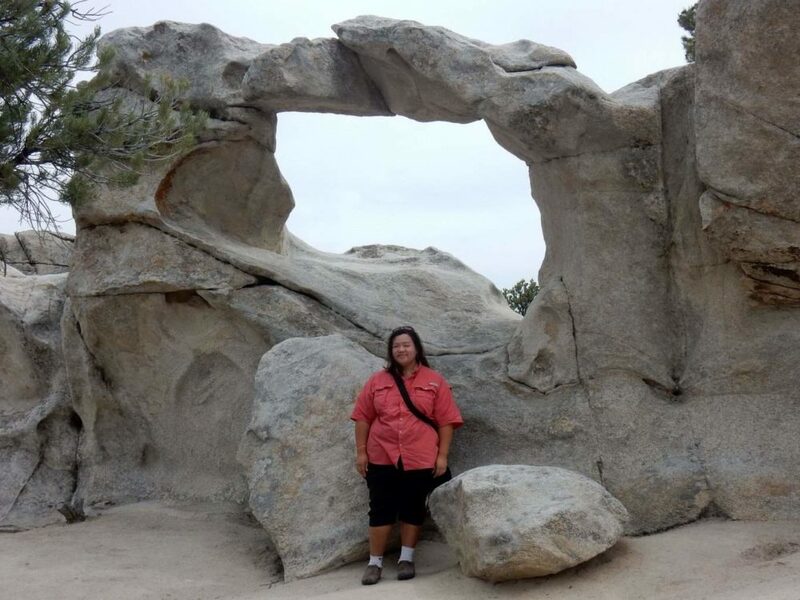 After our quick hike, we finished the rest of our tour, which included rock formations such as Window Arch, Breadloaves, Treasure Rock, and Kaiser’s Helmet. 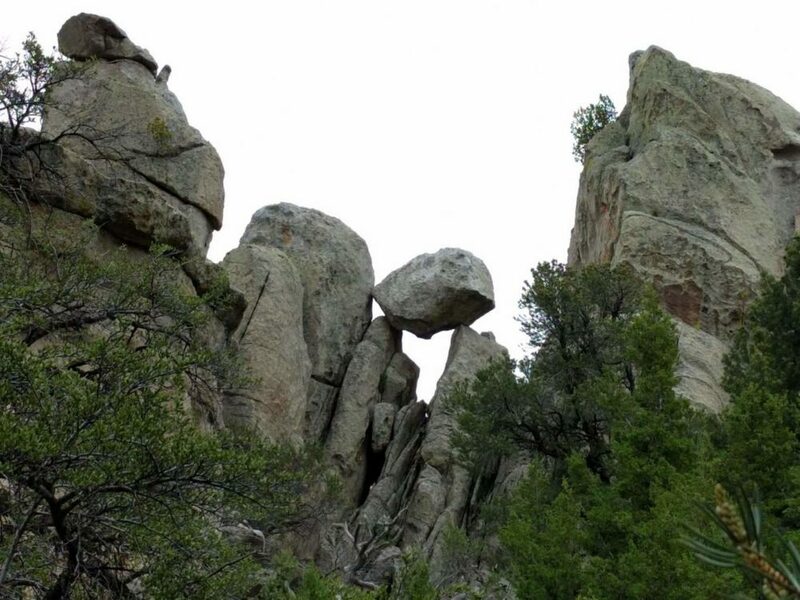 City of Rocks is an unassuming location, full of little surprising delights. With its picturesque rock formations and distinctive ecosystems, its worth the stop of any curious adventurer or avid rock climber. 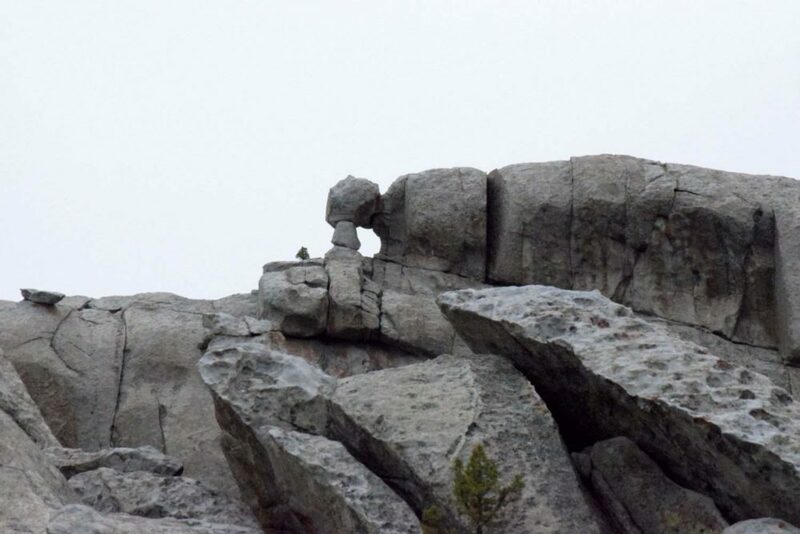 Chicken Rock. One of many stops along the automobile tour via City of Rocks Road. 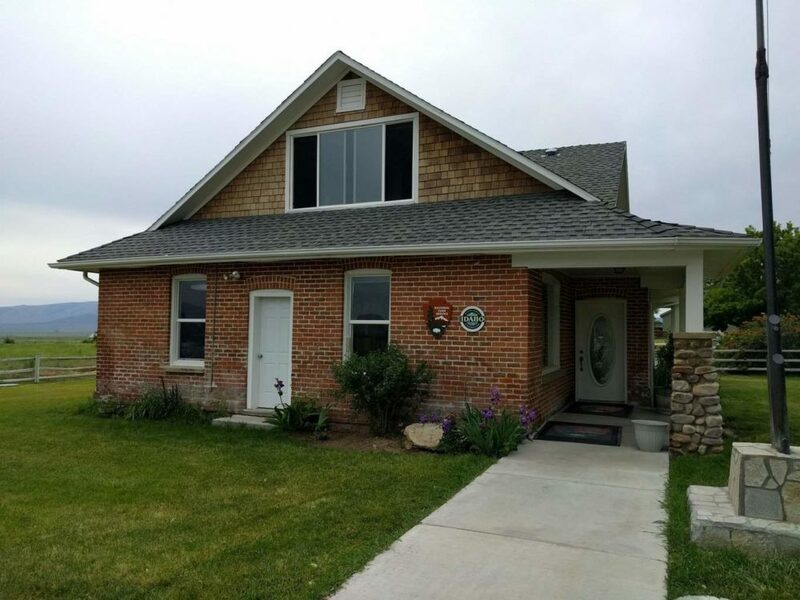 Circle Creek Ranch. Now just a pioneer point of interest.